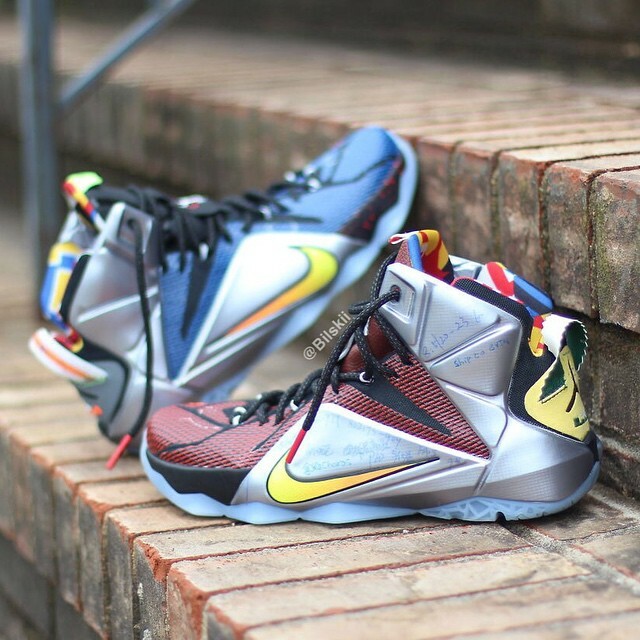 Are The "What The LeBron" 12 Finally Getting A Release Date? Nike's "What The" series has been a consistent winner for the brand ever since they decided to make it an annual release. While we've already seen and gotten our hands on the Kevin Durant version, the LeBron entry had yet to get much press. Well it looks like the wait may be over as we are seeing full detailed shots of the shoe and have an unconfirmed release date. 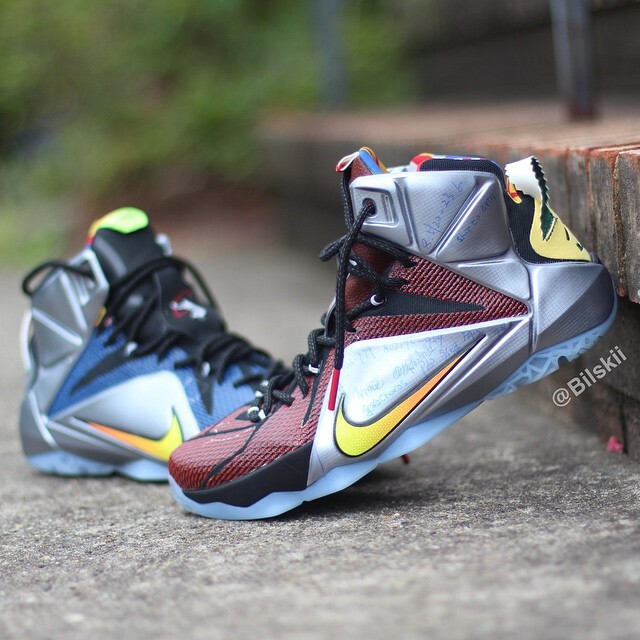 The multi-colored shoe once again takes a bit from every released version of the Nike LeBron 12 and just like every version that preceded this one, it is all over the place. This version seems to have a darker feel to it as the blue and brown hues were dominant on the uppers while the back panels, collar and inner lining provided the bright pop. That could be a welcome direction for the series but we have to wait and see if the good folks over at the Swoosh will make any changes. While we don't know if this is the final release version, Instagram user Bilskii has been a more than reliable source when it comes to these early sneaker matters. The rumored release date is September 5th and the retail price is $250. What do you guys think of this one? Where does it rank with the other "What The" releases of the past? Let us know and make sure to keep it locked with SneakerShouts for any and all updates as they happen.